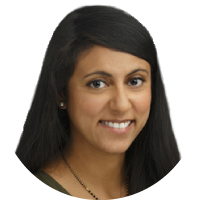 PORTLAND, Ore. — Dr. Vinay Prasad is a professional scold: He takes to Twitter each day to critique this cancer drug as ineffective, or blast that one as overpriced, or dismiss the clinical trial of another as completely irrelevant. “I think he’s rare in the fact that he thinks about individual patients, but also thinks about society and the population as a whole,” said Dr. Daniel Goldstein, a cancer researcher at Rabin Medical College in Israel who has done research with Prasad. Critics point out that although Prasad champions transparency, he has blocked some foes who challenge him on Twitter, effectively shutting off dialogue with them. He rails against conflicts of interest and has taken no money from pharma, but he has accepted a $2 million grant from a foundation with an agenda that aligns with his own, including promoting efforts to rethink drug pricing and physician billing models. Prasad himself acknowledges that although he dismisses many new cancer drugs as nearly worthless — and way overpriced — he will, at times, prescribe them if his patients insist, even after he has explained his reservations. But by and large, he sticks by his credo — that the only drugs worth prescribing are those that have been rigorously validated in clinical trials. “I get the sense that he really holds a grudge against the pharmaceutical industry,” said Yevgeniy Feyman, a fellow at the conservative Manhattan Institute. “He’s the guy who says the emperor has no clothes,” Gonsalves said. True, the topics Prasad writes about can be rather dry. He frequently bemoans the fact that when a clinical trial fails to meet its stated goals, the researchers root around to find alternative metrics that will let them declare success. This week, he was deep in the weeds of research costs, with a paper that concluded companies might spend $650 million to develop a drug that can ring up $1.6 billion in sales. But with his quick wit, conversational tone (he has been known to exclaim “omg” on Twitter) — and, yes, his habit of flinging colorful insults — Prasad has a way of drawing the public eye to this most unsexy side of medicine. He has more than 9,000 followers on Twitter, which doesn’t make him a celebrity, but it’s not bad for a guy who throws around jargon like QALY (a metric of quality of life) and R-CHOP (a chemotherapy regimen) and earnestly dissects the validity of Kaplan-Meier curves (a statistical analysis used in clinical trials to project survival rates). 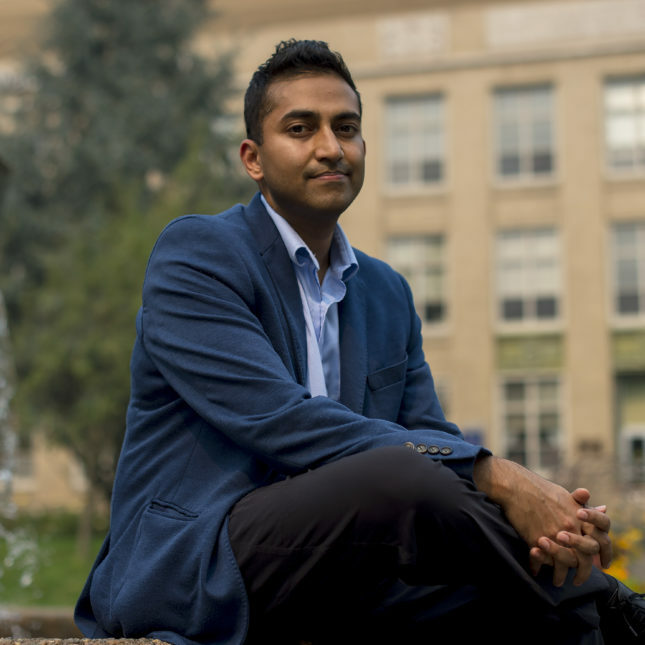 Prasad, who studied philosophy in college, credits his entrance into the medical field to his college roommate at Michigan State: He was taking the MCAT, so Prasad decided to try out the medical entrance exam out himself. “I don’t know if I would have signed up on my own volition,” Prasad said. Had his roommate pursued law, Prasad might have as well. He hated the first two years of medical school at University of Chicago, which involve hours upon hours of basic science lectures. He even considered quitting: “I couldn’t stand the rote memorization of things that seemed so useless,” he said. It wasn’t until Prasad’s third year of medical school, when he began rotating in hospitals and interacting with patients, that he began to take serious interest in medicine. He hails from a family full of engineers, so had few preconceptions about clinical practice. And he soon began to notice that many routine medical procedures didn’t have any solid evidence to back them up. During his rotation through the hospital’s cardiac critical care unit, for instance, he was taken aback by the widespread use of stents, which are inserted in blocked arteries to open them up. They work well, of course, in severe cases when arteries are completely blocked. But in people who have chronic, stable angina — that is, mild heart disease with some chest tightness — there’s no evidence whatsoever that stents improve survival rates. Yet 80 percent of stents are placed in patients who have this mild angina. It’s become a $15 billion industry. And it’s not without risk: During that rotation, Prasad saw a patient who’d had a severe heart attack related to the stent, and another who’d developed brain damage from complications during the surgery. 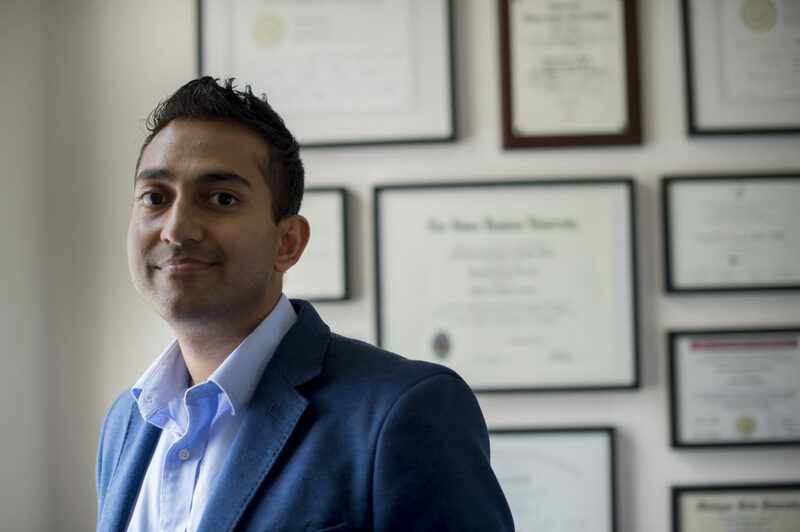 Such realizations led Prasad to co-write a book in 2015 with his medical school mentor, Dr. Adam Cifu, a general internist studying evidence-based medicine at the University of Chicago. 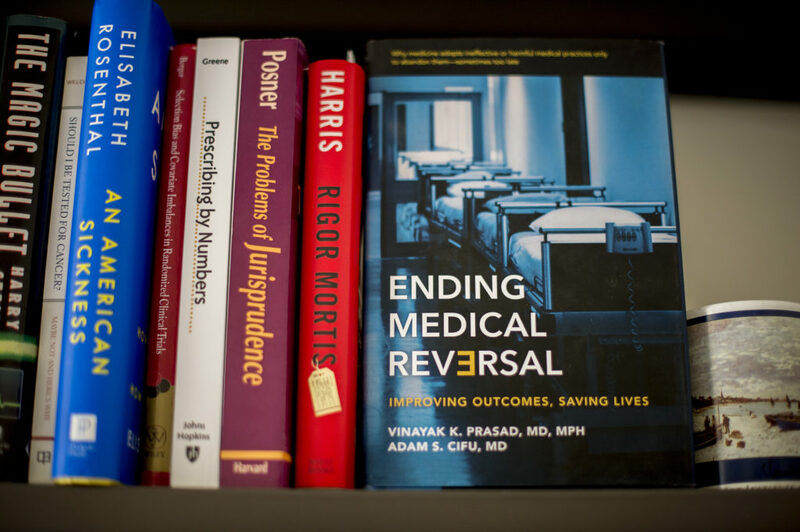 The book, tantalizingly titled “Ending Medical Reversal,” focuses on cases of treatment flip-flopping — in which medical creed is disavowed after being subjected to randomized clinical trial. Prasad began to make enemies early on: Radiologists aren’t happy that he deems routine mammography pointless. Urologists don’t like him, either, because he’s been deeply critical of the PSA diagnostic test for prostate cancer. In both cases, Prasad is concerned that there are too many false positives, which can cause patients great psychological distress. Scouring the data, he also argues that too often, the tests turn up cancer that does not really need to be treated — but is taking a physical and financial toll on the patient and sometimes leaving lasting side effects, like erectile dysfunction for men who have prostate surgery. Of course, screening also sometimes finds highly malignant cancers and saves lives — so many urologists and radiologists resent Prasad for crusading against the tests. Prasad takes that fury as proof that many doctors are too concerned with making money to follow the evidence where it leads (radiologists, after all, earn their living from conducting tests like mammograms, and urologists make money doing prostate surgeries). His critics, however, say Prasad is putting too much weight on statistical tables, instead of listening to the real-world experience of real-life patients and physicians. They also dismiss him as a generalist who doesn’t really understand the specialty fields he so angrily attacks — and doesn’t try to. For his part, Prasad delights in shaking things up. And then, of course, there’s Twitter. 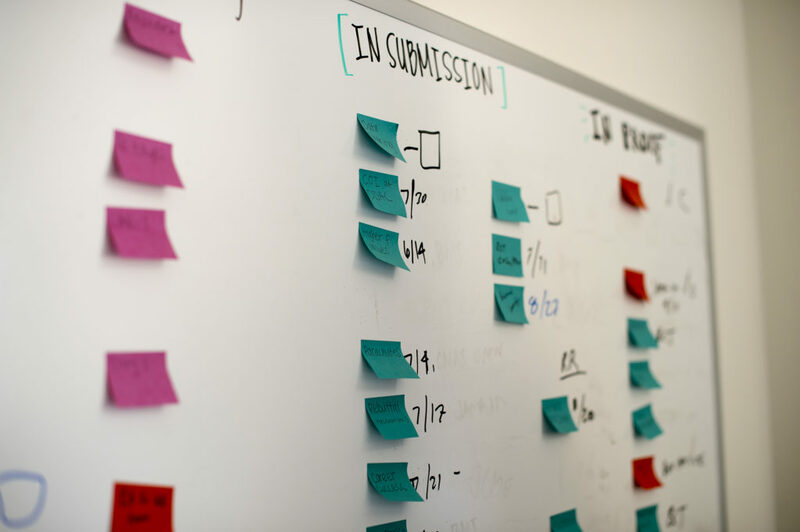 Prasad frequently uses the medium to critique clinical trial design — and press for better studies that more accurately assess whether a drug really works. In oncology, many trials don’t assess whether a drug helps a patient lives longer — just whether it buys her additional weeks or months before her tumors start to grow again. (That metric is known as “progression-free survival.”) That bothers Prasad. “Our results show that most cancer drug approvals have not been shown to, or do not, improve clinically relevant endpoints,” he wrote in a research letter published in 2015 JAMA Internal Medicine, citing his review of five years of cancer drug approvals. He also complains that too many trials aren’t gold-standard, random controlled studies that compare experimental drugs against the standard of care. Dr. Vincent Rajkumar, an oncology professor at Mayo Clinic who has collaborated with Prasad and supports his work, nonetheless finds such critiques a bit unrealistic. For instance, he noted, in the case of treatments for life-threatening diseases, if we waited to see whether a new drug improved overall survival, important medications wouldn’t be approved for many years. It’s not hard to critique a clinical trial’s design after the results are out, Rajkumar said. But between funding woes, patient recruitment challenges, and prolonged regulatory timelines, the finished trial — and the outcomes that are evaluated — often end up a far cry from the original intention. Notes tracking his projects dot the white board of Prasad’s office. One of Prasad’s favorite parts of his gig at Oregon Health and Science University? Training the next generation of doctors to be skeptics. He helps lead the school’s oncology fellowship program, assigning trainees to give 15-minute talks every time a new drug is approved by the FDA. The young physicians must convince the OHSU tumor board that the drug truly deserved regulatory sanction. Most of the time, they can’t. He has also hired a small cadre of research peons — that is, medical students and residents — to carry out his grunt work. Right now, for instance, they’re busy trawling Twitter in search of physicians who use social media to praise drugs without disclosing that they’ve been paid by pharma companies. His job is structured so that he devotes most of his time to research, working in a simply decorated office — with his many diplomas (including a master’s in public health from Johns Hopkins) taking up much of the wall space. His research grunts work on computers in a small attached vestibule. Roughly one day a week, Prasad pulls on his white coat and walks over to the university hospital, where he treats patients with leukemia and lymphoma. That’s where he sees the human stories behind the black-and-white statistical tables he spends hours parsing in his research. True to his principles, Prasad makes sure to offer his patients the treatments that have the most proven survival benefits. But he does also tell them about other options. He’ll tell them, for instance, that a new therapy is gaining popularity — but then explain why he’s reluctant to prescribe it. One example: He’s not yet sold on combining immunotherapy drugs, though that is an increasingly hot field of study. He even enrolls some patients in clinical trials — if, of course, they meet his standards for proper research design. My Hero! I follow his blog and appreciate his thorough analyses of a clinical trial. I wish all physicians Scrutinized drug approvals in this way.